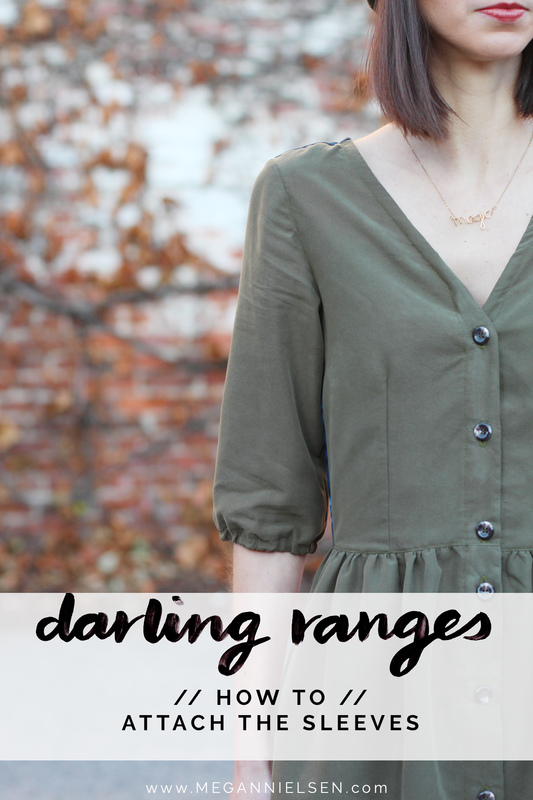 Today we’re going to be inserting our sleeves in the Darling Ranges dress and finishing the sleeve hems. We’ll be using the inset sleeve method, and I’ll be showing you two different ways to insert the elastic into the sleeve hems for V1. I really love having elastic in the sleeve hems because it’s just so comfortable! I really hate the feeling of constriction that often comes with an elbow sleeve with a vent. Ready for some sleeve action? Go! The first thing to do is fold your sleeves in half with the right sides facing each other, so that the sleeve seams meet up. 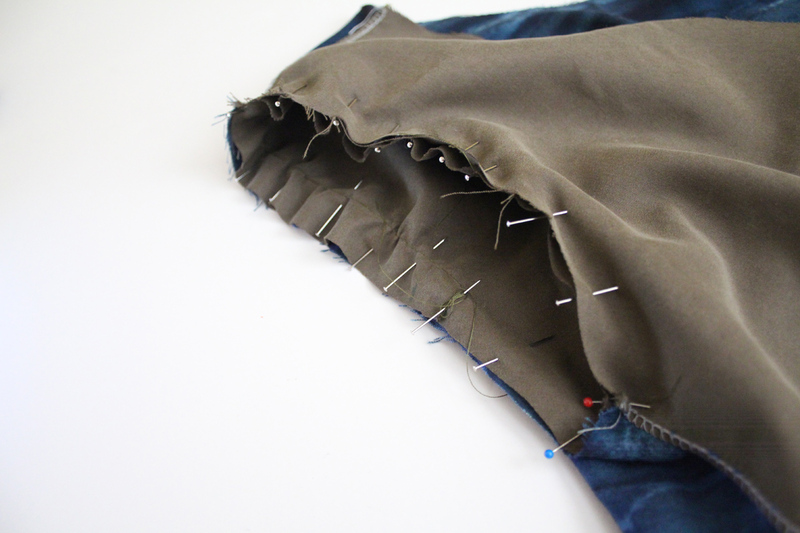 Pin and sew, then neaten the raw edges. 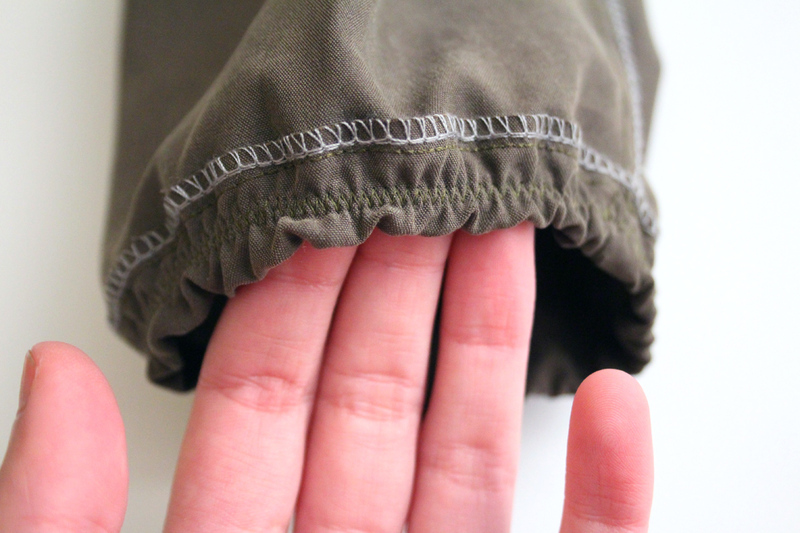 Press your sleeve seams either open or to the side. Sew basting stitches along the sleeve cap. 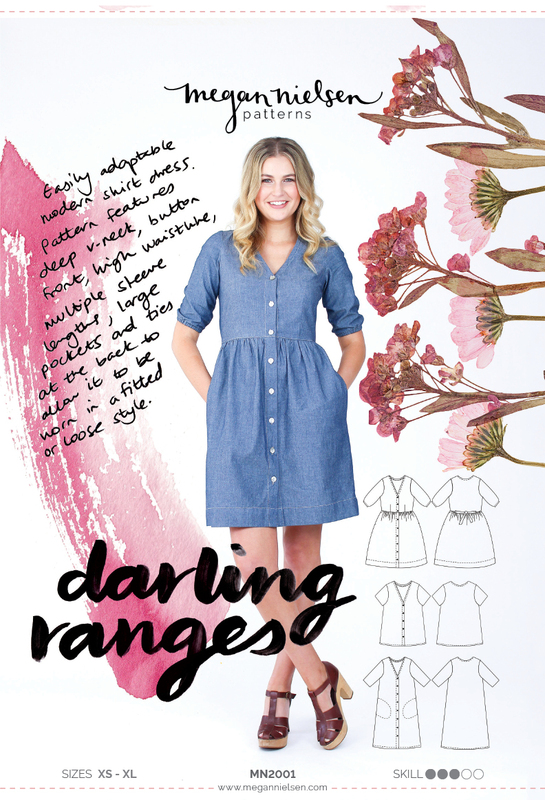 There are some handy guide dots on your Darling Ranges sleeve pattern – simply sew around the sleeve cap between those dots using the longest stitch on your machine. 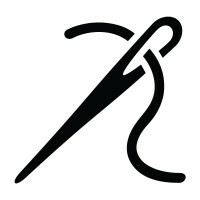 Don’t backstitch, you want to leave long thread tails. Now we’re going to gently pull on the threads to very very slightly gather up the fabric on the sleeve cap. Not so much that you can see visible gathers, but just enough so that you can ease the sleeve into the armsyce. With your dress the wrong way round (ie wrong side of fabric facing outwards) place your sleeve inside the dress with it’s right sides facing outwards. 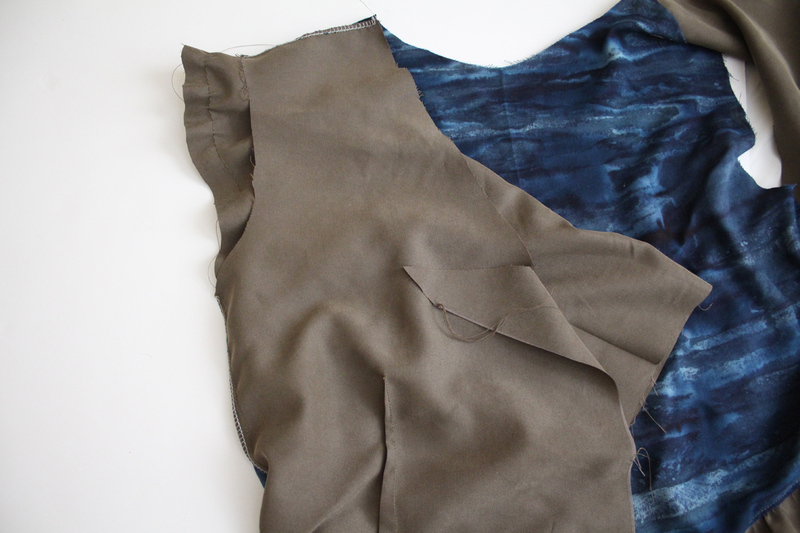 Match up the side seam of the bodice and the sleeve seam and pin. Beginning pinning the sleeve to the armsyce. I like to start at the seam and pin up until i reach the basting on each side. 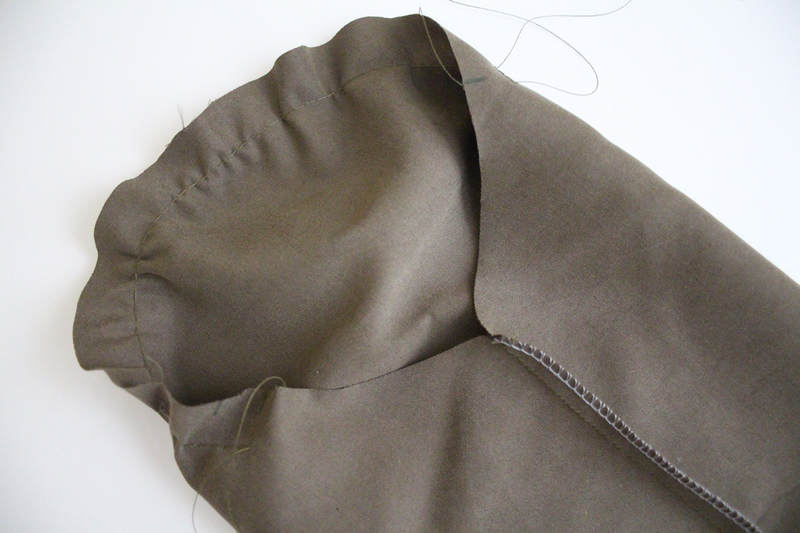 Then you can fiddle with easing the sleeve in until you’ve got it just right. 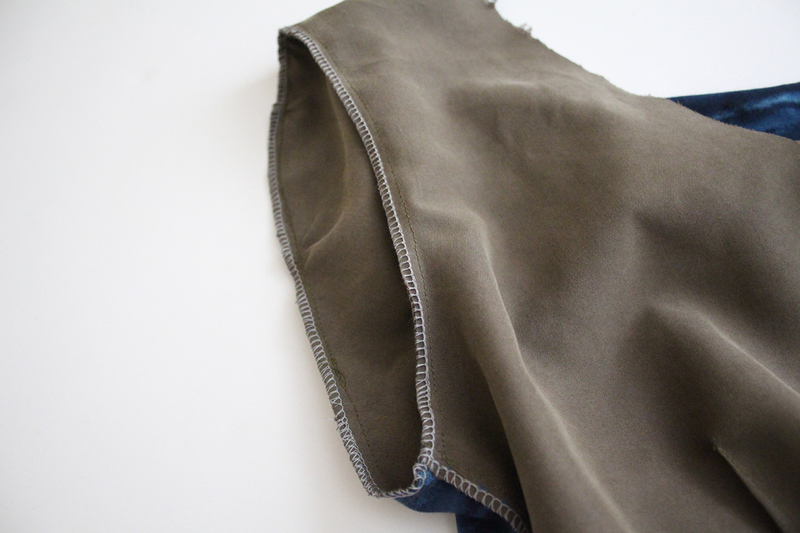 Pin the sleeve cap in, sew and finish the raw edges. 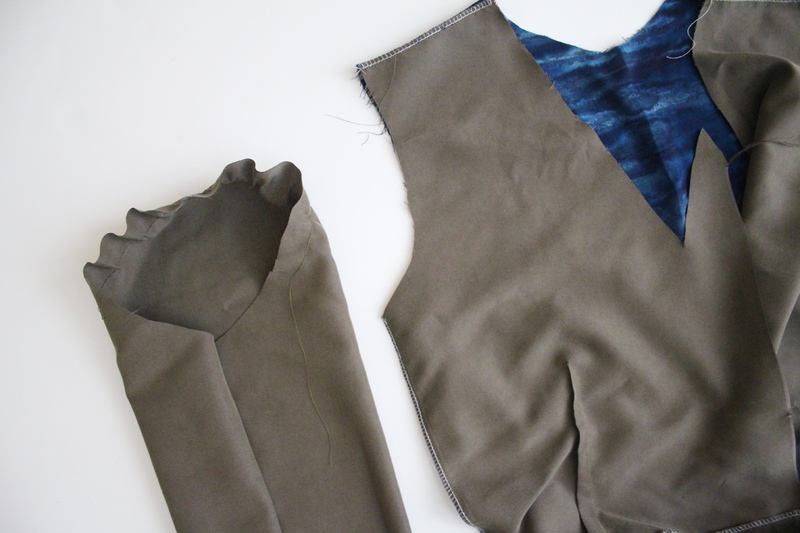 Iron the sleeve seam join (i like to use a tailors ham), and your inset sleeve is done! Now onto the hemming! I’m going to show you the finishing for V1 and two ways to do this. 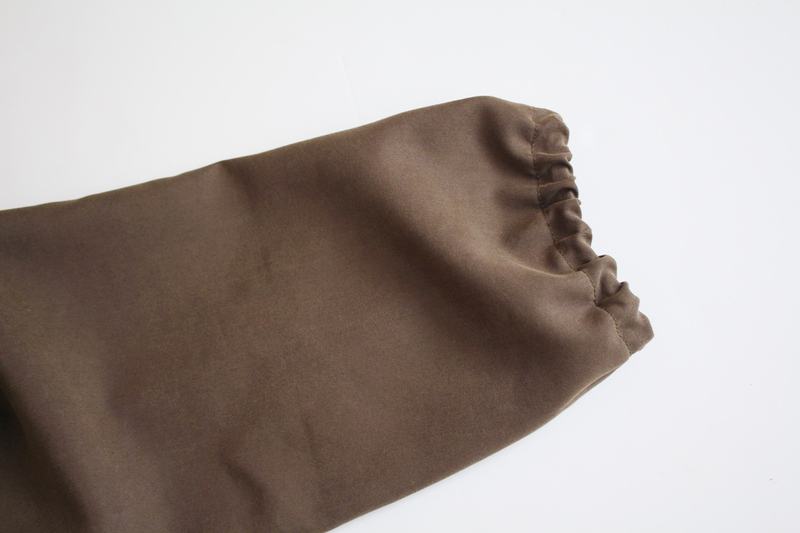 But you can find the hemming for V2 & V3 here. This is the method shown in the pattern booklet. 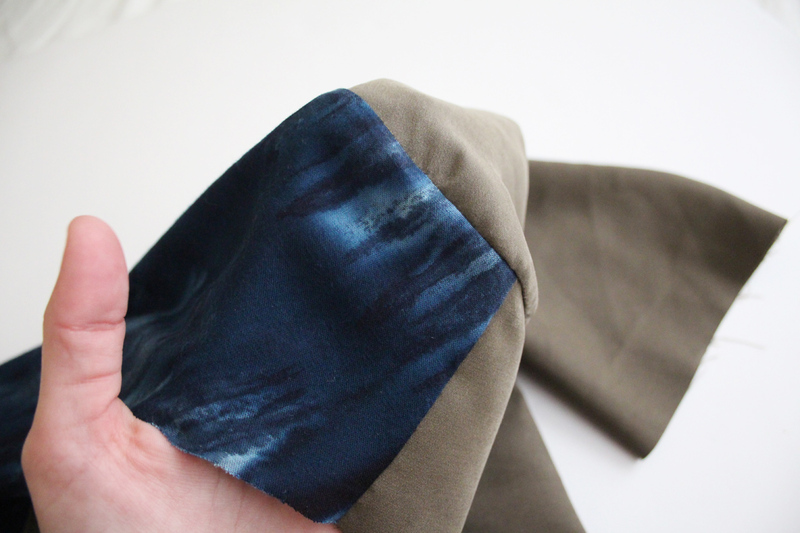 Finish the raw edges of your sleeve. Then fold up 3/4″ and press. 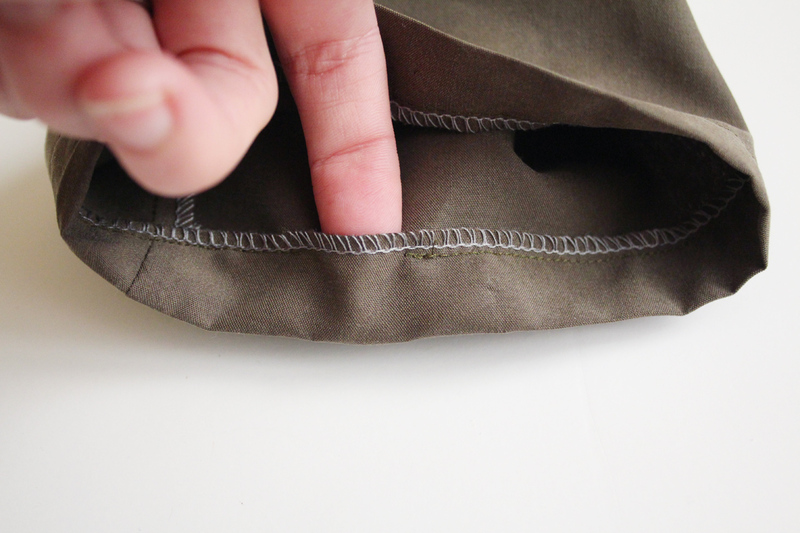 Sew 1/2″ from the folded edge, and be sure to leave about 1-2″ of gap in your sewing to thread your elastic through. 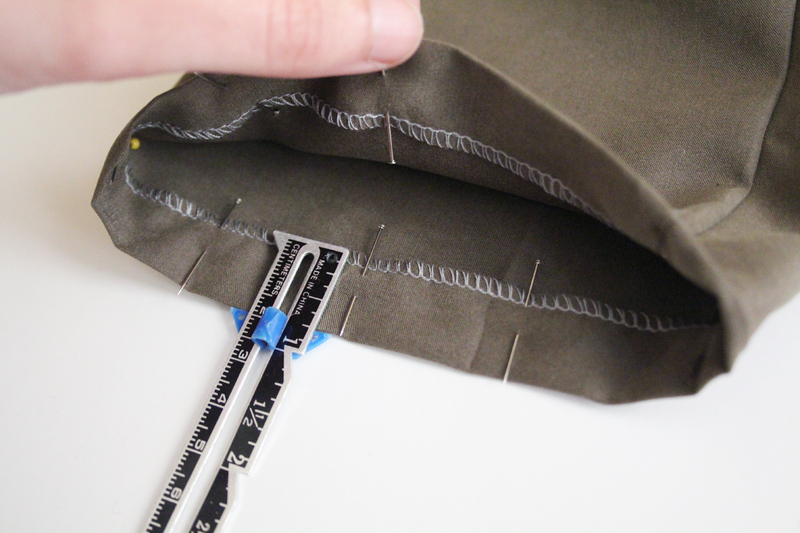 Cut your elastic to the required length as stipulated in the pattern booklet. 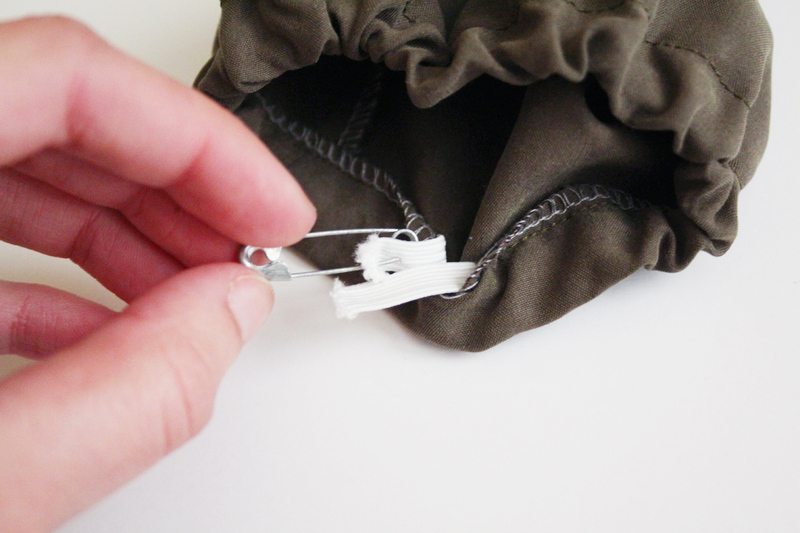 Pin a safety pin to one end. 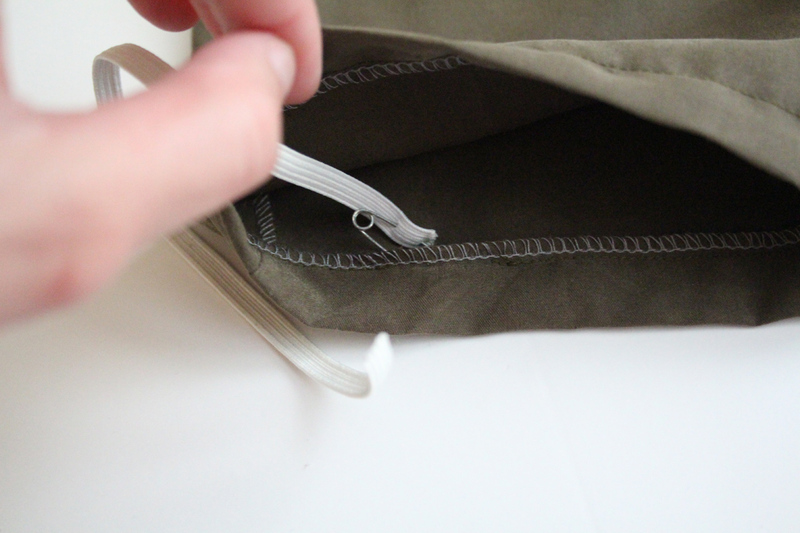 Thread the elastic through the casing using the safety pin. 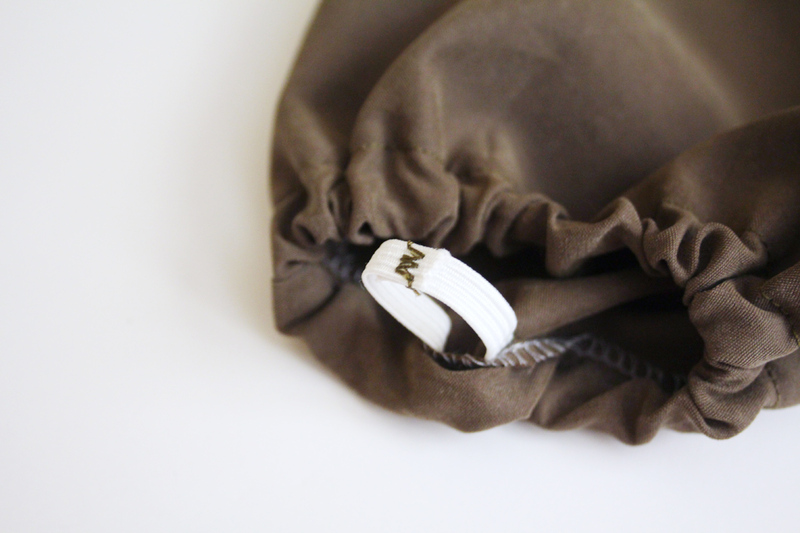 When you get all the way round attach the two ends of the elastic together, then close up the elastic casing. Once again start by finishing the raw edges of your sleeve. 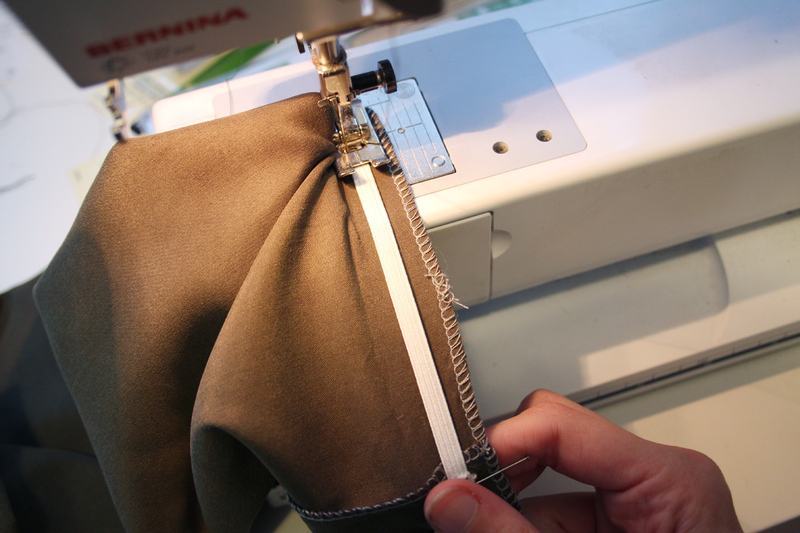 Cut your elastic to the right length, then join the two ends using a zig zag stitch. Mark the elastic in halves – ie two pins equal distance away from each other. Do the same thing on the sleeve hem. 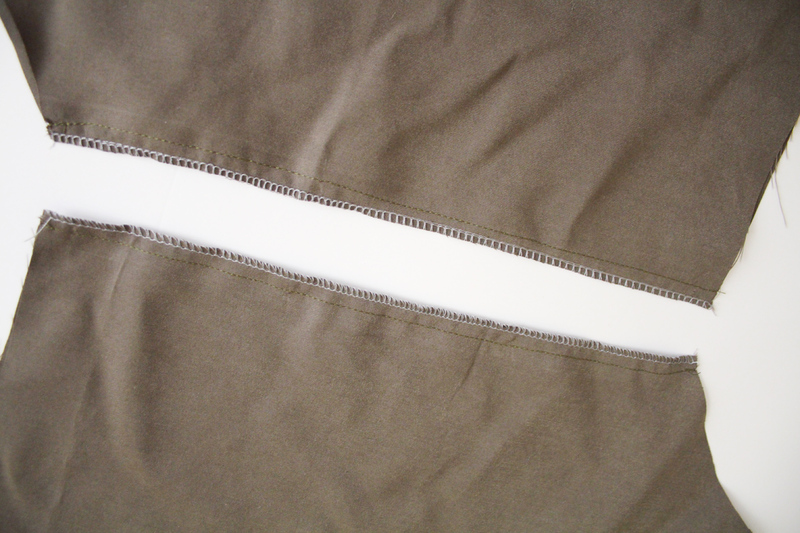 Pin the elastic to the sleeve hem 1/2″ from the edge so that the points you marked match up. 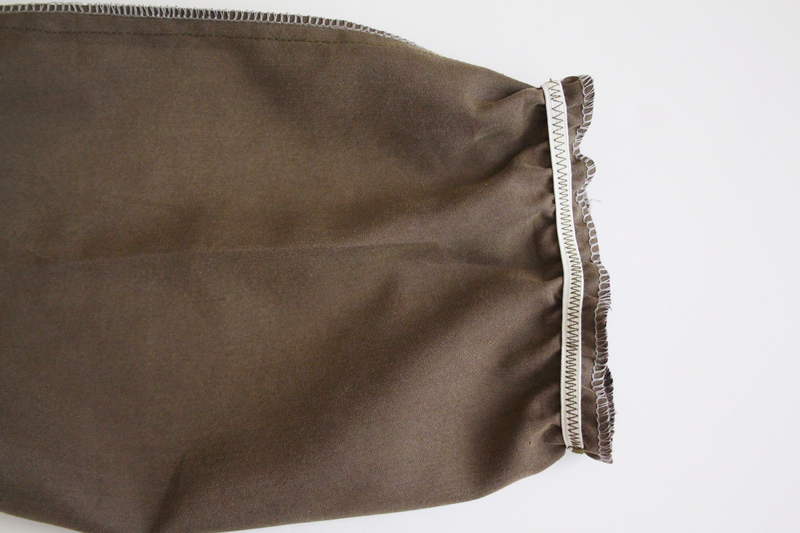 You’ll notice that the elastic is smaller than the hem. 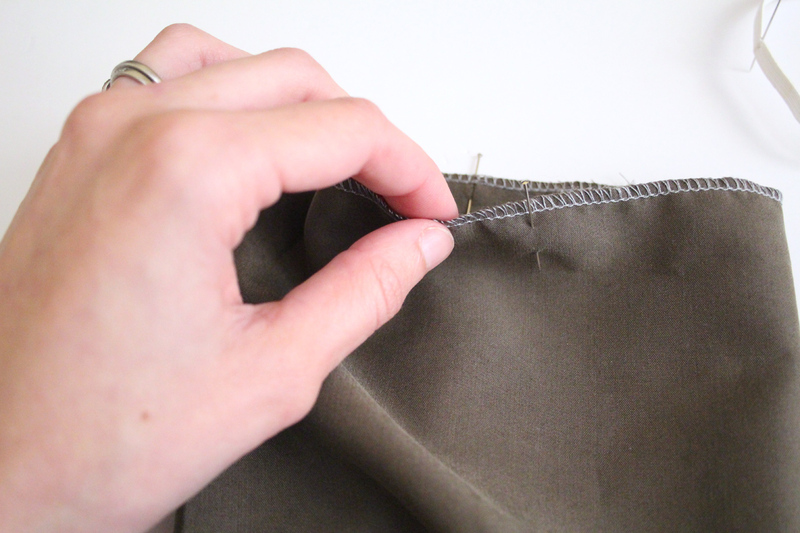 Now sew the elastic to the sleeve hem using a zig zag stitch and stretching the elastic as you go so that the elastic matches up with the fabric. You’ll notice that the fabric gathers up perfectly evenly. 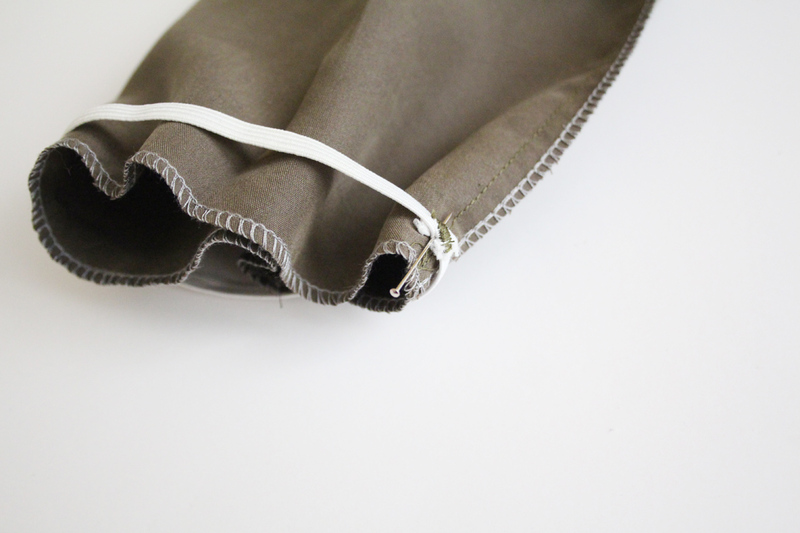 Fold the fabric over at the elastic so that you now encase the elastic. 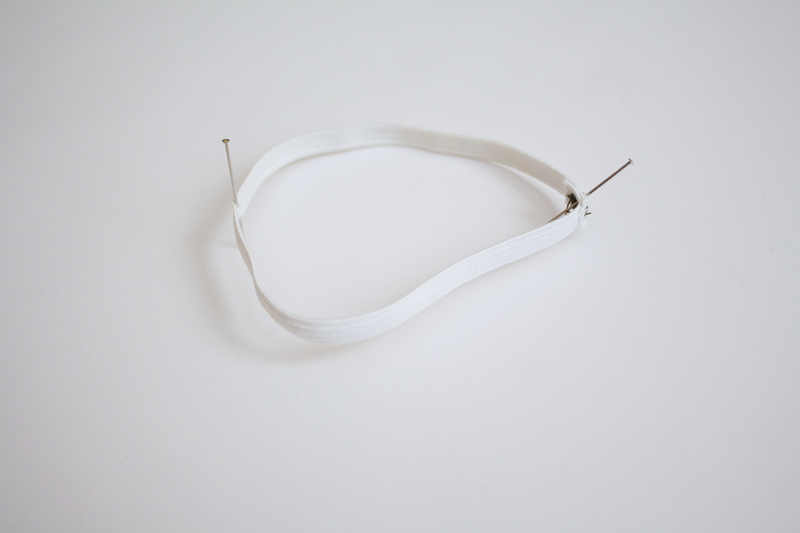 Sew 1/2″ from the folded edge, stretching the elastic as you go so that the two pieces of fabric you are sewing match up. 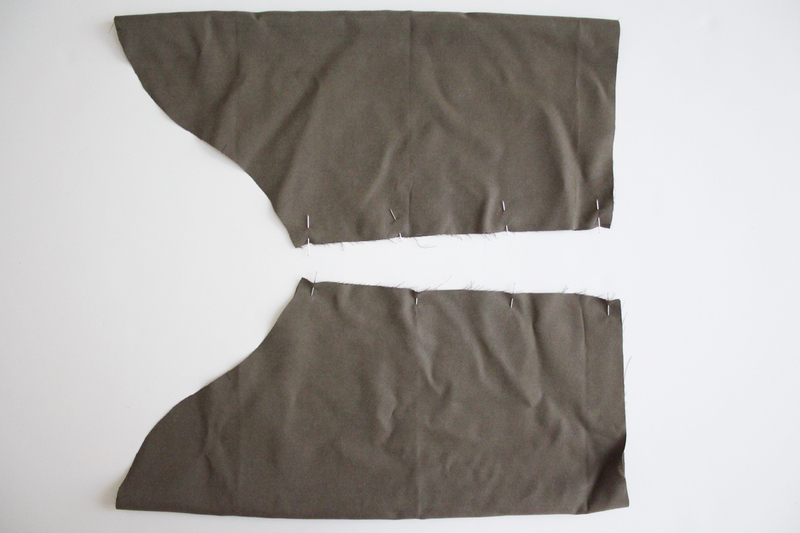 This may be a silly question, my skills are very limited on the sewing machine, but I was curious if I could apply the second hem method when creating an elastic waist band skirt. IS it possible to use a zig zag stitch or is the loop the elastic through method the best?